The Maori translation of Ataahua is beautiful, picturesque, a place of beauty – so appropriate to the valley, the vineyard and the wines alike. 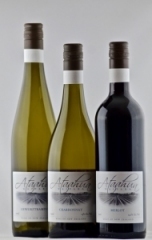 A major part of Ataahua’s philosophy for growing grapes then carefully making that fruit into wine is to translate and express the beauty of the vineyard and area into wines that people can relate to and absolutely enjoy. Much of the appeal of this exciting and dynamic industry is the challenge to each year make the best and most interesting wine from the fruit grown, expressing the unique characteristics of the vineyard and the vintage. With every vintage comes a new challenge and no two years are ever the same.